I am very lucky to work with a lot of different businesses and creative people. I have seen some take an idea and turn it into multi-million dollar businesses. One thing I have noticed about those that don't succeed is that they treat their business as a hobby vs. an actual business. Now before we get into it, I want to point out that I hate writing a blog that seems negative. That's not what I'm doing here. I'm pointing out things that I want you to ask yourself before you start the process of starting a business. I know you can do it, but want you to ask yourself some questions so you're prepared. Below you will find some of my observations when I see a new business or business owner not progressing or succeeding. They aren't hungry enough. The hunger isn't there. Sometimes I question their true passion for their business and if they really are in love with it or they are just going through the motions hoping it's going to pay off. Whatever it is, they aren't hungry enough. They are bored and needed something to pass time away vs. really wanting to create something magical and special. Wasting time and doing busy work is never gonna make a business succeed. They don't bother to do research nor have a willingness to learn. They think they know it all already and have all the answers. First, do your research on what you're selling. Where is the need or want for your service or product? Who are you selling to, etc? I've been doing my business now for years and I still am learning every day. I don't have all the answers and I'm always researching and learning what I don't know or to improve on what I do know. I'll throw in the "ask for help" here too. Ask for help from like-minded professionals to get things going or to give input on your idea or processes. You would be shocked at what your own circle of friends and professionals can assist you with. Don't be a show-off and pretend you know it all or already have it together. You're not fooling anyone, we know it's hard. It involves time. Some just don't want to put in the time it takes. 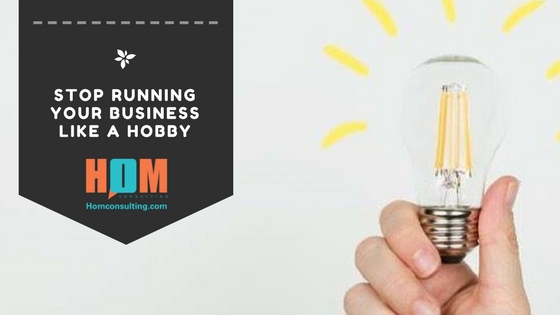 Starting, running and owning a business is a major time commitment. Success will never come knocking at the door. You have to put in the time to get results. In the early stages of your business, you may find that you're spending more time on your business than anything else you do in your life. Money is required! I know I know, there are a lot of things out there about not needing a boatload of money to start a business. That can be true. But the reality is that you need some money. In today's world, you need some dough! That will all depend on what you're doing, what you're selling and what your business is. You will need some cash of some sort. Failure isn't the end of the world. You will fail. There I said it. Feel better now. Move on. Dust yourself off and keep at it. No real plan. There are some people that start with no real plan or objective. Sometimes you're thrown into business vs. planning, plotting and starting. That's some of the best kind of businesses that I love to work with, but you still need to stop, backup and create an overall plan. This plan should be what you need, costs, execution and what your goals are, financially and other. Business plans are great, and I have assisted many businesses, but honestly, you just need something written down on paper with all those objectives. How and in what format works for you is fine. Just do it. Realistic expectations and goals. I see this so much in new businesses. Their friends and family tell them how awesome they are, their product or service and then when they try to sell it, in the beginning, it can be a big goose egg. Set realistic goals, financially, marketing and overall progress. This really involves 1-6 and then once you have decided on how you will adjust to those you can create your realistic goals. Now you know! Let's talk about these together. I would love to hear how you have overcome any of these or how you have pushed through. Share with us so others can learn!